These replacement metal SNAP lids for mason jars seal home canned foods airtight. After heat processing and upon cooling, a vacuum is formed which seals the lids onto the jars. The lids are lacquered to prevent rust and have an interior enamel coating to resist natural food acidity. The lids can be used with your existing screw bands. 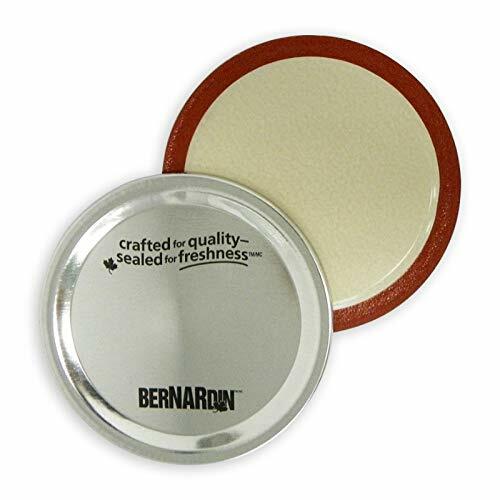 If you have any questions about this product by Bernardin, contact us by completing and submitting the form below. If you are looking for a specif part number, please include it with your message.